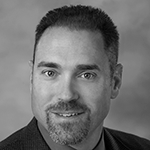 Bill Cune is the Vice President of Network Architecture for Corning Optical Communications. In this role, Cune is responsible for understanding the intersection between technology trends and market needs to define and create new approaches to deliver future ready network and connectivity solutions. This includes identifying and collaborating with key ecosystem players and customers to deliver differentiated optical solutions that re-define networking in the millennial era.